An Irish mathematics professor has argued that computer games like Minecraft in the classroom will benefit students. Patrick Fitzpatrick from University College Cork (UCC) has cited a recent OECD report as an example of how the computer games can help. Due to Minecraft’s composition and logical gameplay, and an education-friendly MinecraftEdu application, it is commonly suggested as a learning tool in schools. Fitzpatrick was speaking at the launch of UCC Brings Boole2School, which will see students study logic in a Boolean Maths lesson on November 2. Fitzpatrick said: “Logical thinking is a central element in the learning process and for more than two millennia logic has been the basis of rational argument. “Using simple truth tables and logic puzzles, students taking the Boole2School lessons learn how statements or situations may be combined and manipulated using the logical operations of AND, OR and NOT. 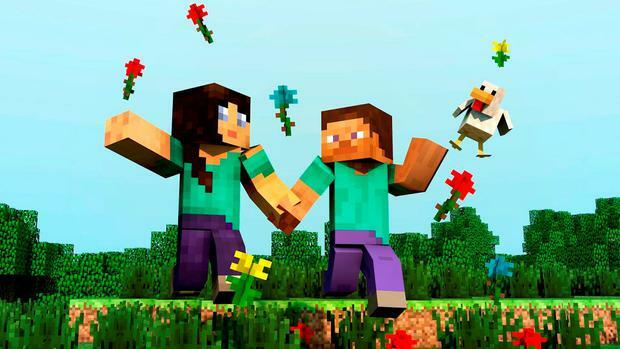 Minecraft is popular among gamers - young and old - throughout the world. Earlier this year, Minecraft was made available to every post-primary school in Northern Ireland. Meanwhile, in 2013 the Viktor Rydberg School in Stockholm introduced compulsory Minecraft lessons for its 13-year-old students.